Do you want to use the Stormz application in a hotel, a castle, a train or on a bus? Our Stormz Box can transform any location into a reliable and secure digital collaborative workspace in no time and connect up to 100 devices to Stormz. Should you need to connect more of them, or cover several rooms simultaneously, we will be happy to help you build a custom-made WiFi network adapted to your needs. The Stormz Box is a dedicated server and a high-end WiFi access point that you can plug anywhere to connect as many as 100 devices (computers, tablets or smartphones) to the Stormz application. Easy to set-up, the Stormz Box enables all your attendees to login instantly to Stormz, rids you from any technical constraints and guarantees a carefree event. If you’re organizing a large-scale Stormz session in a venue you’re not familiar with, our Stormz Box and its high-end WiFi access point will still manage to secure a reliable connection. With our “Autojoin” feature, participants don’t need to enter any WiFi password or to create any account, they will be able to start the Stormz workshops or quizz instantly. This is the reason why major corporations in the banking, aerospace or military sectors choose the Stormz application and its Stormz Box to power their innovation sessions. Depending on your requirements, you can also activate and setup WPA2 authentification. Are you organising a large group Stormz session any time soon? We can send you one Stormz Box (as well as the iPads) for the duration of your event. We currently have Stormz Boxes available all around the world. Are you organizing many workshops during the year? The day you’ll become a Stormz fan (and you will, trust me) and use the application for all your meetings, training sessions or events, you might want to have your own Stormz Box. Need dozens of tablets for your event? We got you covered! 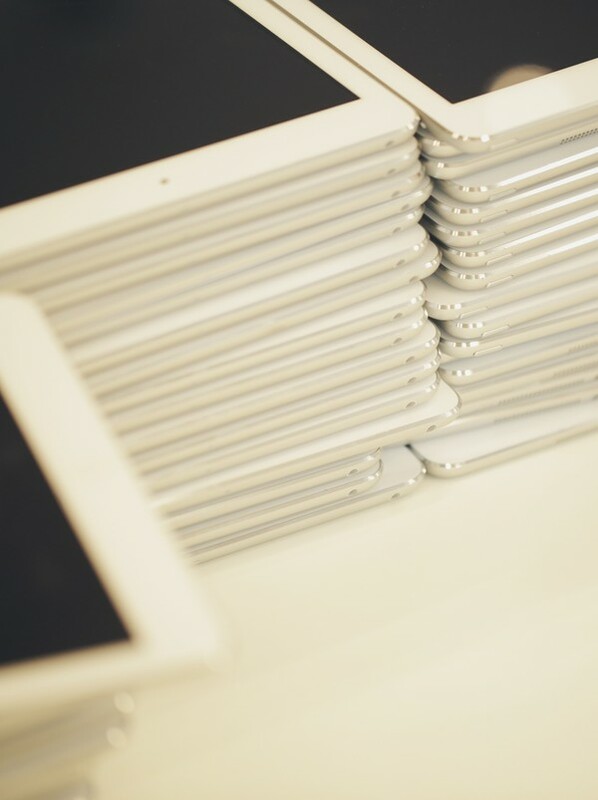 The iPads will be delivered on-site, fully charged and ready-to-use with Stormz. 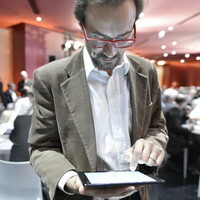 Your participants will find their iPads at their seats and be able to start the workshop instantly. 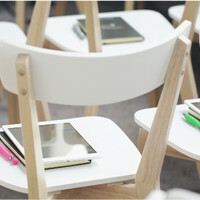 Having neutral devices is also the key for your participants to focus all their attention on the tasks at hand, you will undoubtedly get their undivided attention during the whole course of the event. When the workshop is over, no need to worry! Simply leave the iPads in the room, and Stormz will take care of the rest. Engage hundreds of people during your seminars! Stormz engages your employees by transforming inefficient top-down seminars into awesome collaborative and digital events. 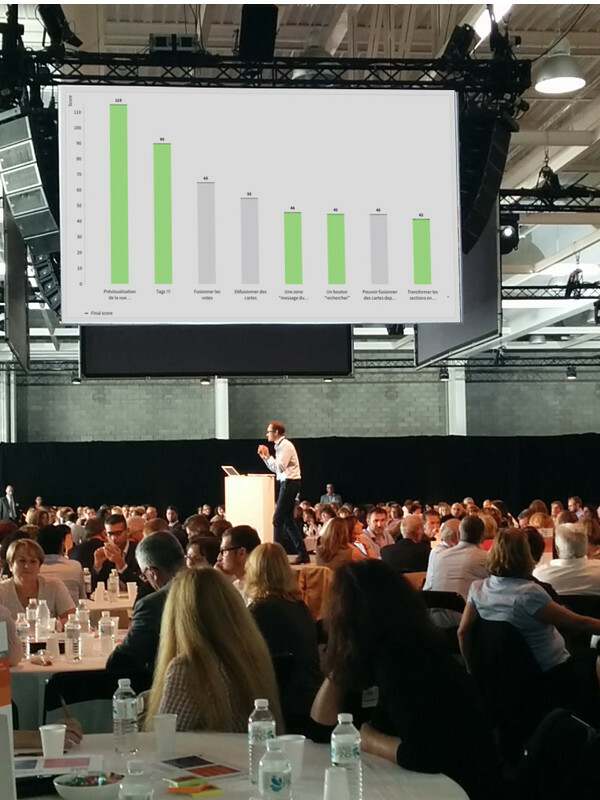 Gather your team, department or division to share perspectives and new initiatives and chose Stormz to transform your corporate meeting into a highly collaborative event. Every single one of the 23 workshops was extremely efficient and played out without a hitch in a highly constructive and friendly atmosphere. We produced a lot of data, which was immediately available and prioritized for further use. What impressed me the most was the ability to manage several workshops simultaneously in different locations - as well as the fact that all the specifics and practicalities were discussed and agreed upon with all the referents in a single 90-minute meeting.